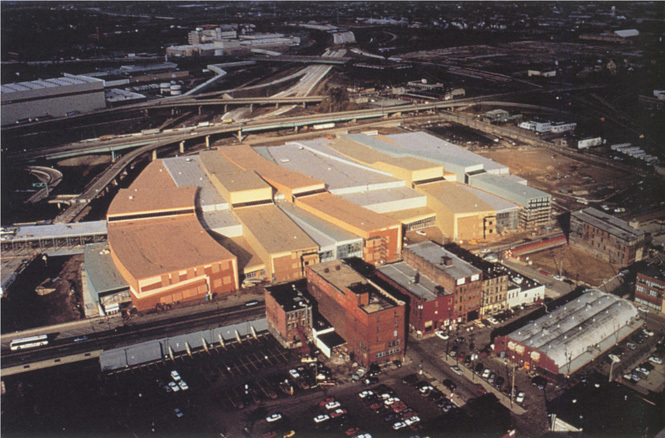 This 530,000 square foot exhibition center is located near downtown Columbus on a site once used as a railway yard. Nearby, a major highway system approaches the city. 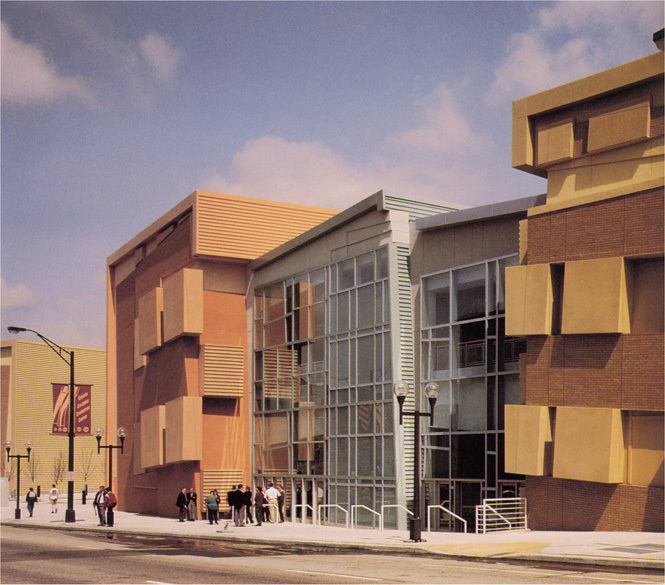 The design comprises a series of elongated forms, curvilinear in plan and rectangular in section, that appear to rise from the site, cross over the exhibit hall and abruptly end at the entry street. Containing two floors of meeting rooms and service spaces, these forms are intended to be analogous to huge metal-sheathed cables of communication. The street elevations, composed of rotated voids and projections in varying materials, elaborate upon the analogy.